"Spacious room with view of the sea." 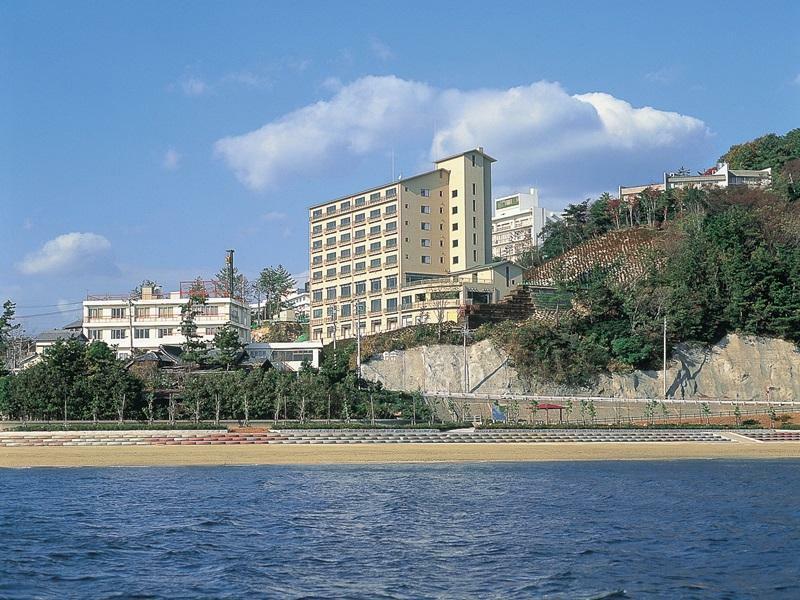 Have a question for Hotel Mikawa Kaiyoukaku? 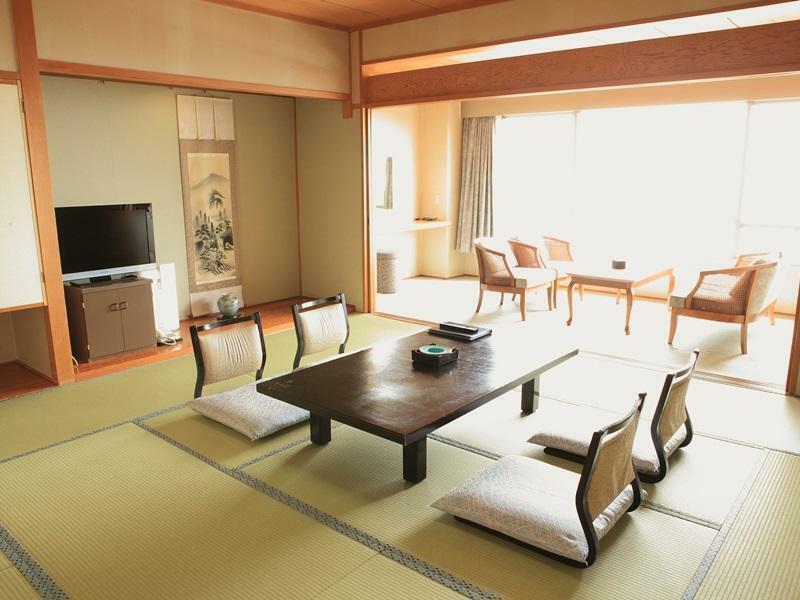 Whether you're a tourist or traveling on business, Hotel Mikawa Kaiyoukaku is a great choice for accommodation when visiting Aichi. Situated only 1 Km from the city center, guests are well located to enjoy the town's attractions and activities. With its convenient location, the hotel offers easy access to the city's must-see destinations. 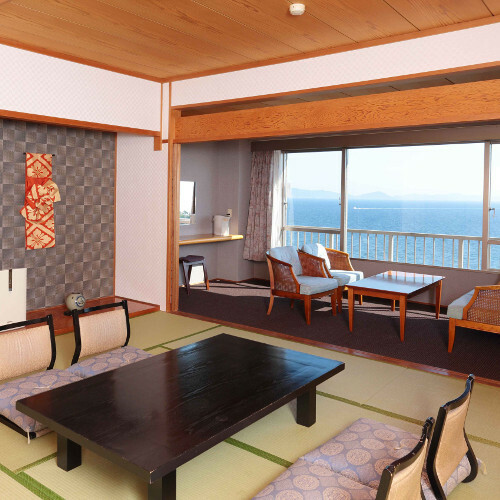 Take advantage of a wealth of unrivaled services and amenities at this Aichi hotel. This hotel offers numerous on-site facilities to satisfy even the most discerning guest. Hotel accommodations have been carefully appointed to the highest degree of comfort and convenience. In some of the rooms, guests can find television LCD/plasma screen, air conditioning, heating, wake-up service, mini bar. Throughout the day you can enjoy the relaxing atmosphere of the sauna, hot spring bath, fishing, massage, table tennis. 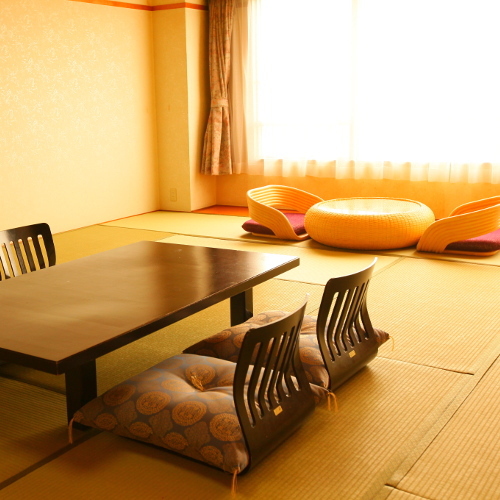 Hotel Mikawa Kaiyoukaku is an ideal place of stay for travelers seeking charm, comfort and convenience in Aichi. Children under 2 years old stay for free if using existing bedding. 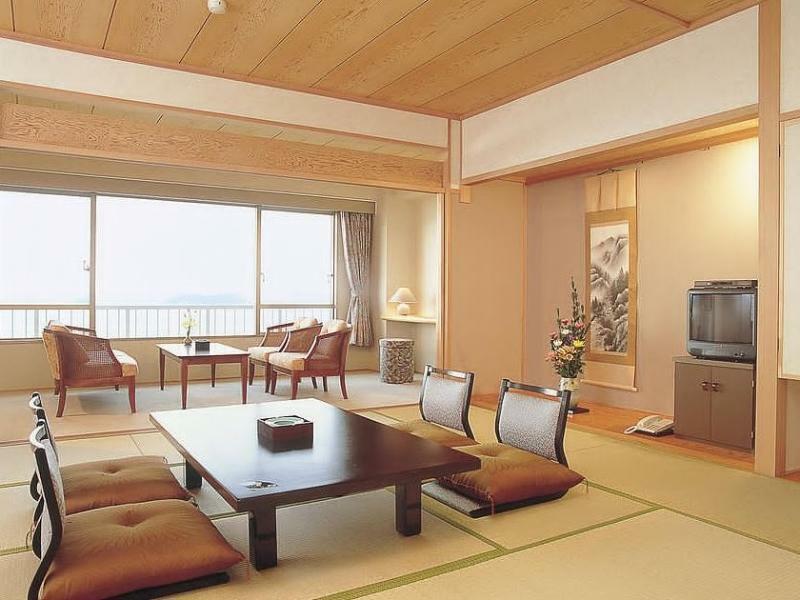 Children 2-6 years old will be charged JPY 2160 per child per night when using existing bedding. Children 7 years and over are considered as adults. spacious room with view of the sea. got to experience both onsen too (as they swap male/female use for morning/evening baths). Staff speak very limited English but the infosheet they provided at check-in more than suffice as it had most information you need. Love that they fetch and send you to the nearest train station (Mikawa Miya) since there wasnt any public transport - just have to call them when you arrive at the train station. Dinner and breakfast was a feast too.